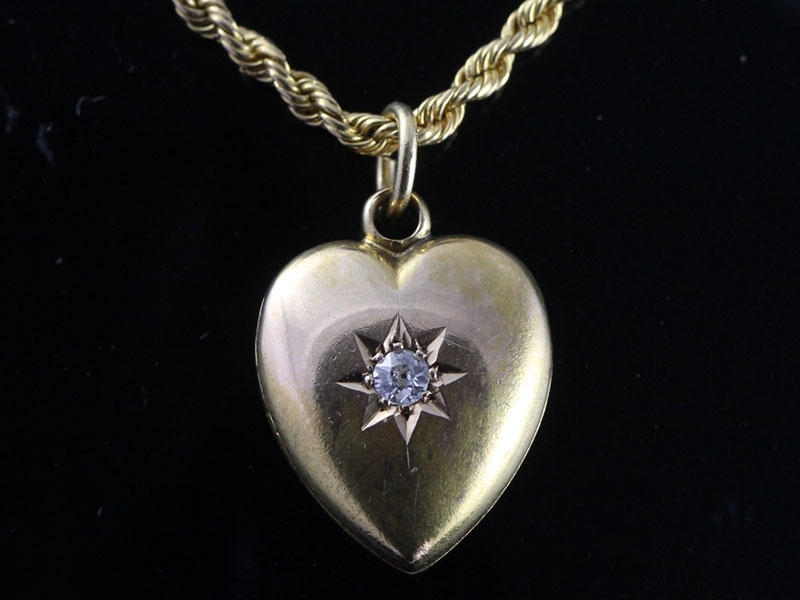 A beautiful Diamond set heart locket is from the Edwardian period is of superb quality for its age. Three old cut sparkling Diamonds are pierced set to the centre front. 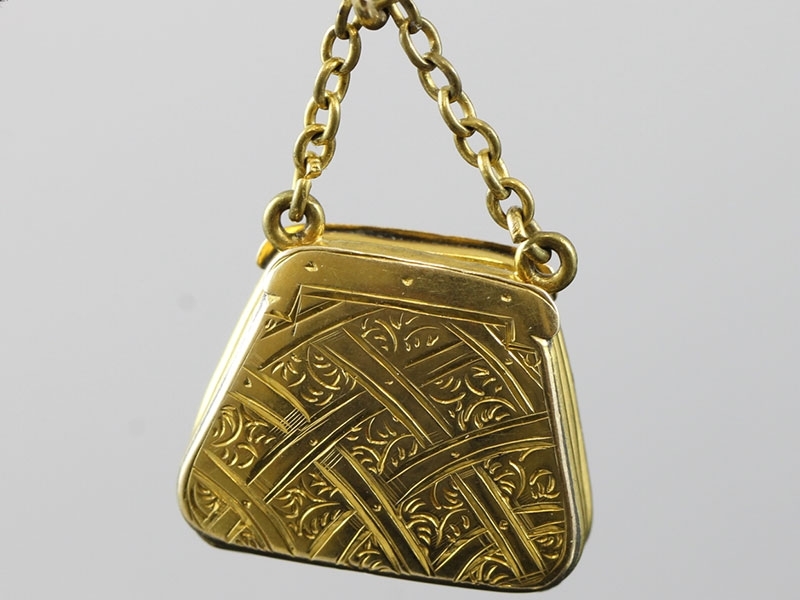 This is an absolutely beautiful Edwardian antique rectangular locket made at the turn of the century, well hand crafted in 9 carat solid Rose Gold. A romantic vintage keepsake in which to display and protect one or two photos of your loved ones. 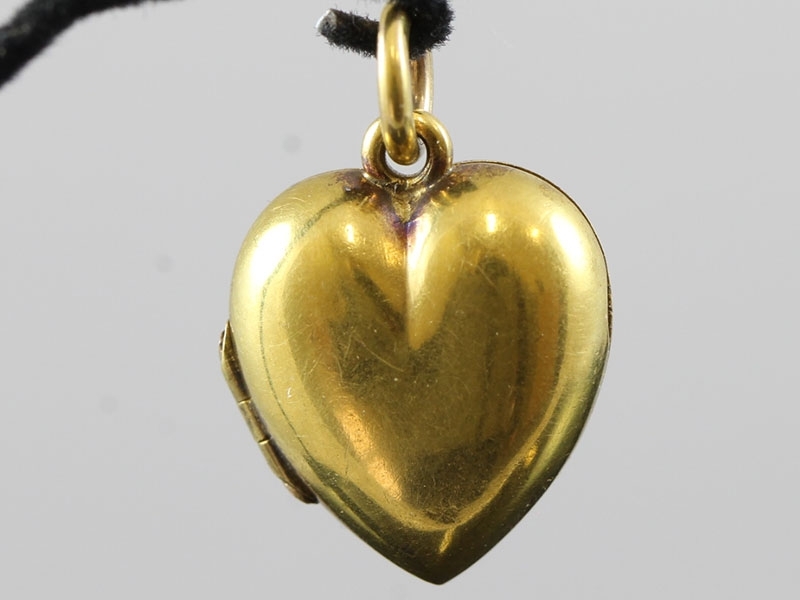 Love tokens, momentoes and souvenirs which kept the memories of special people was very popular Circa 1900s and was the height of fashion. 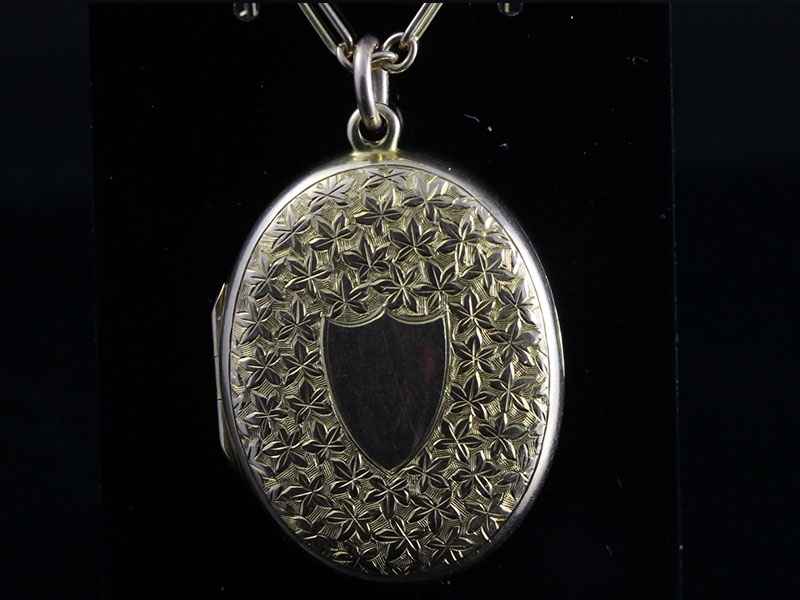 A charming oval Edwardian Locket hand crafted in 9 carat yellow Gold and masterfully hand engraved on both sides with foliate and floral motifs. 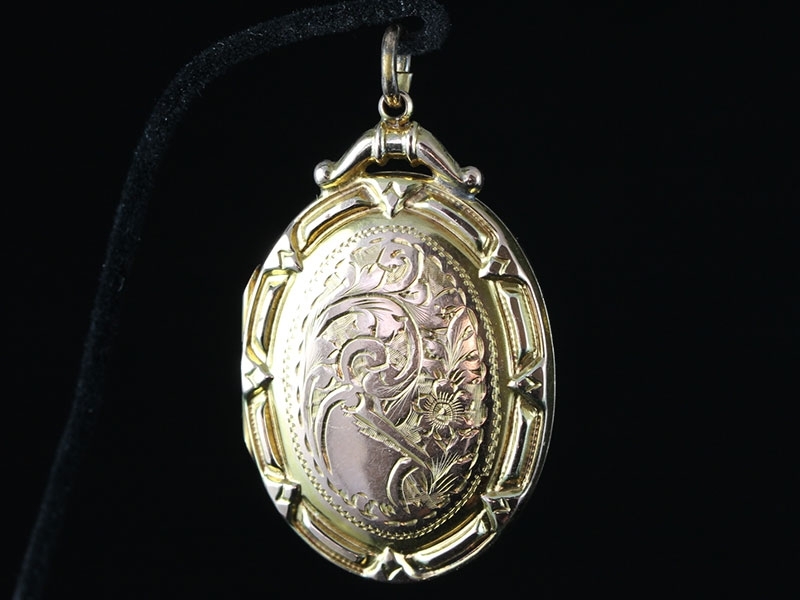 A gorgeous Edwardian oval locket is sturdily hand crafted in rich 9 carat yellow Gold, both sides are extravagantly hand engraved with quintessential ornamentation which was typical of the 1900's. 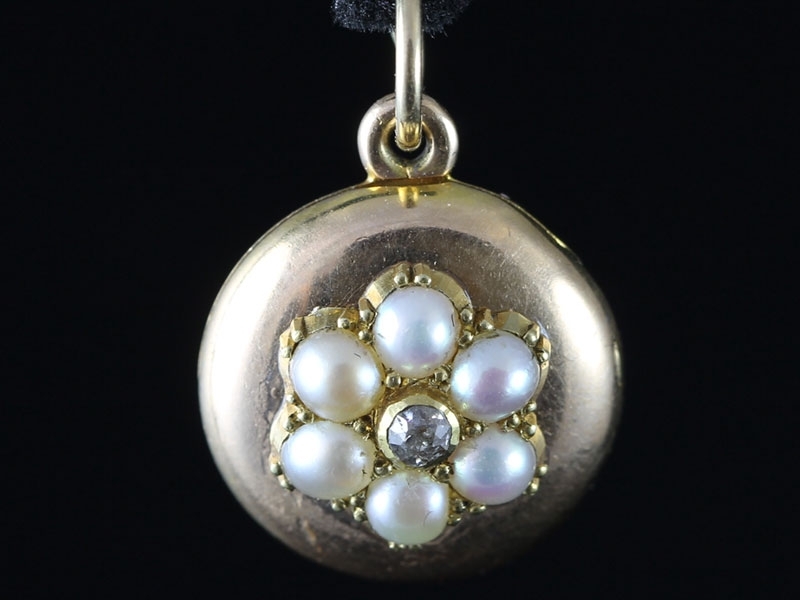 A very pretty Edwardian (1901-1914) round locket has been set with six natural Pearls. It is in 15 carat Gold and was made circa 1910. 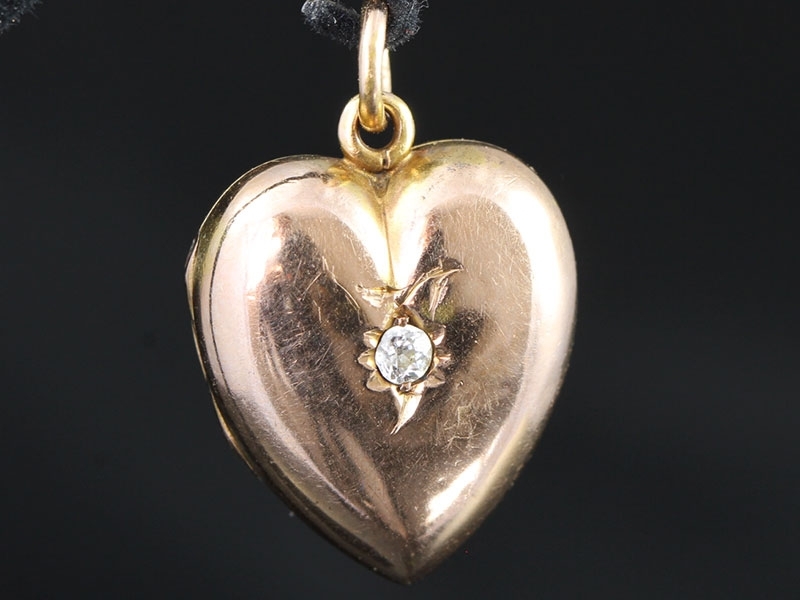 Antique Edwardian 15 carat solid Gold Heart Diamond Locket Pendant with chain. 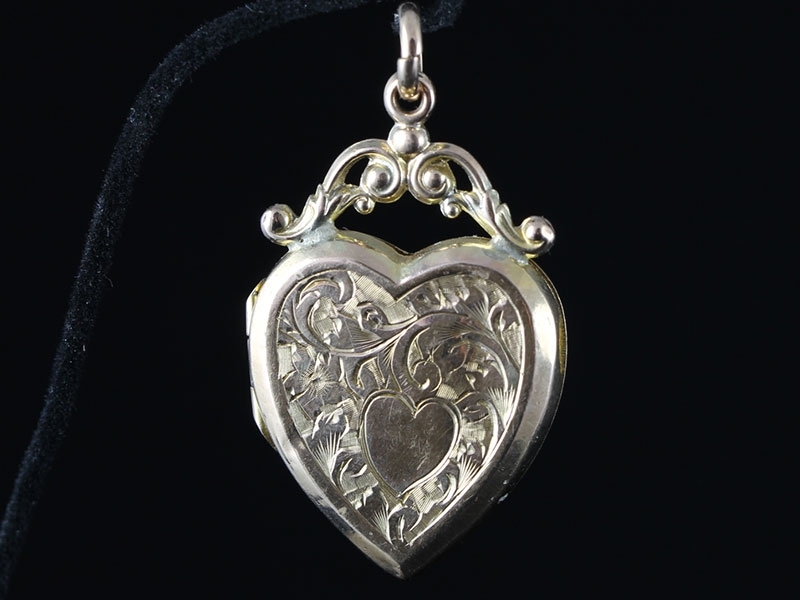 This darling antique heart locket will surely make someone happy. It is simply delightful! 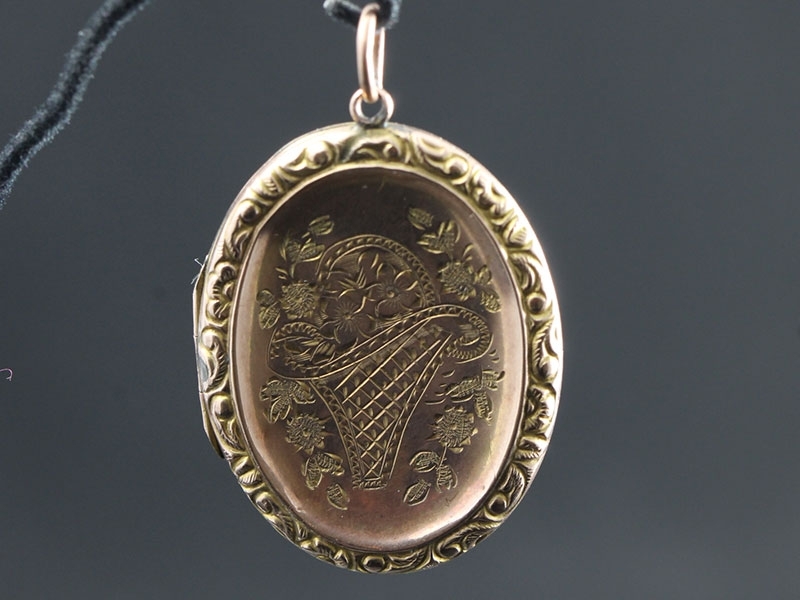 From Edwardian England, a charming oval locket hand crafted in 15 carat yellow Gold and masterfully hand engraved on both sides with foliate and floral motifs. 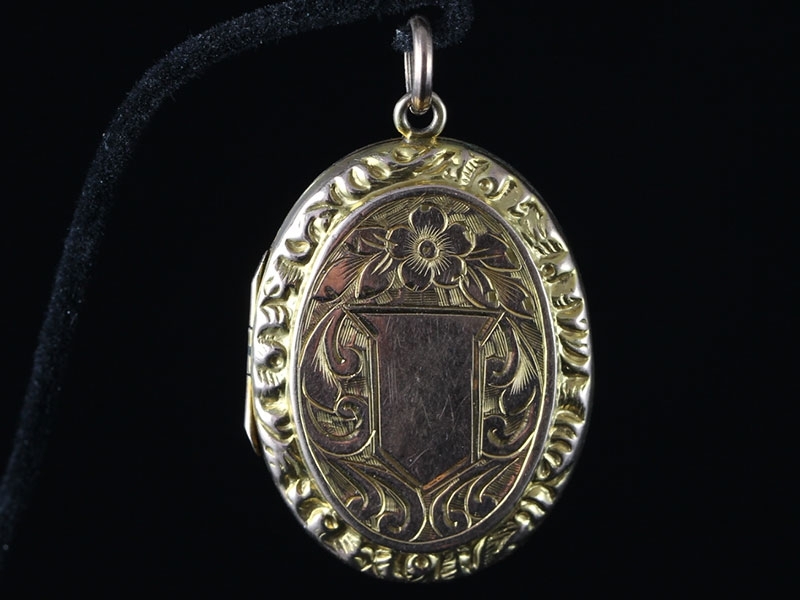 Superb hand floral engraving on the front which follows to the reverse of the locket. The forget-me-not flower symbolises, remembrance and true love. 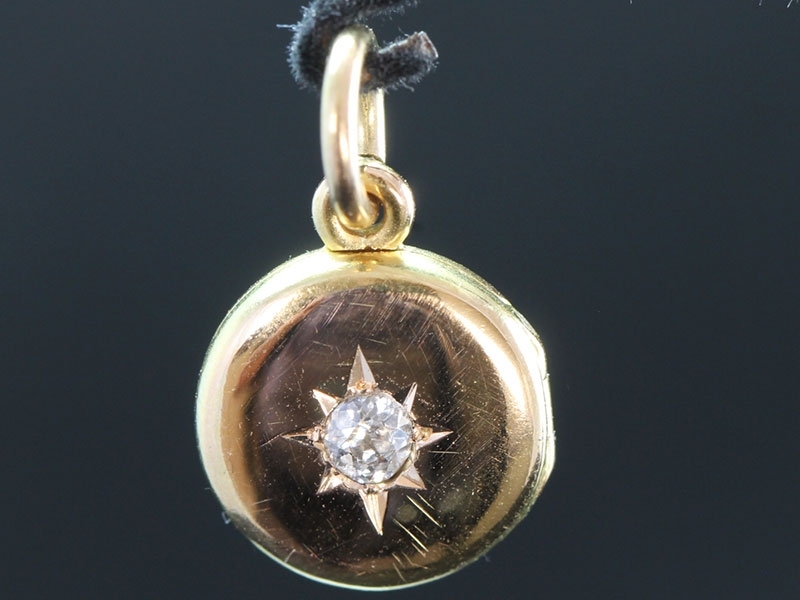 Simplicity and elegance, this locket fits the bill with its beautifully understated design. 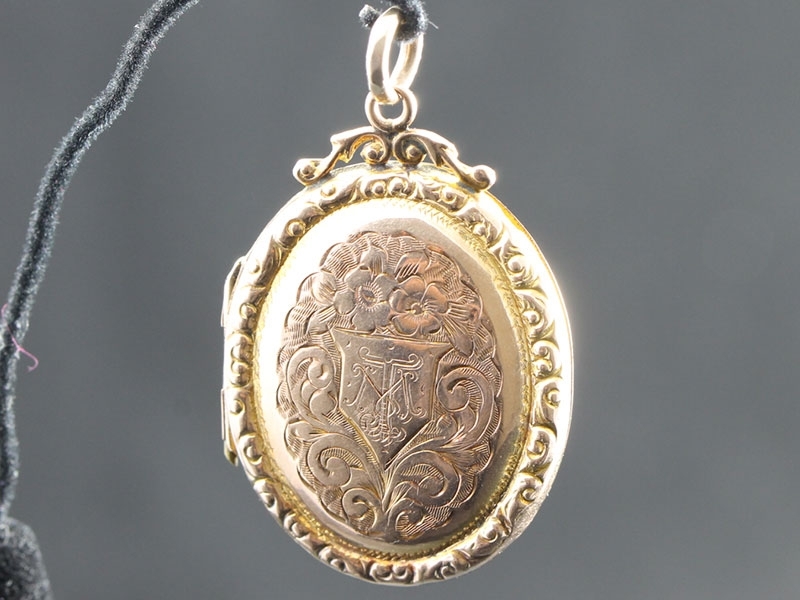 This locket opens on the left and has space for one picture of that special person in your life. Fabulous Edwardian 9 Carat rose Gold Bird Floral Motif Oval Locket is simply delightful and perfectly proportioned and well balanced. 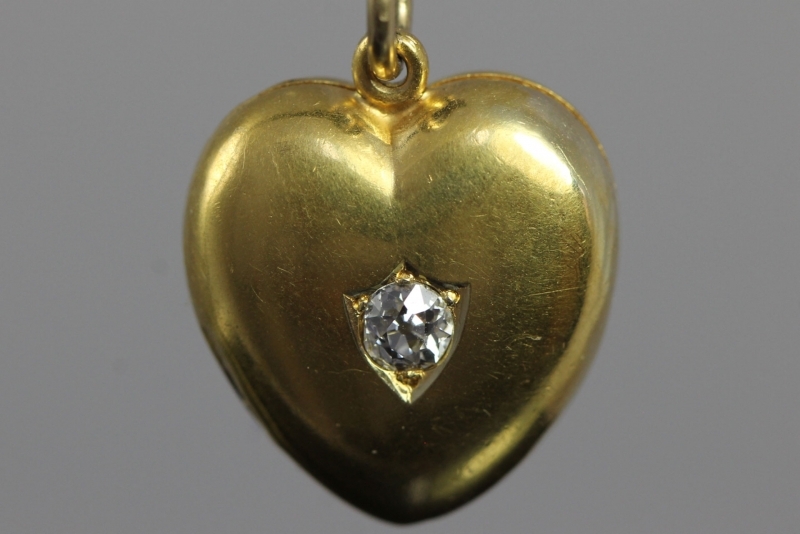 A neat 15 carat Gold Edwardian heart locket set with an old mine cut Diamond. It is the perfect size to wear. 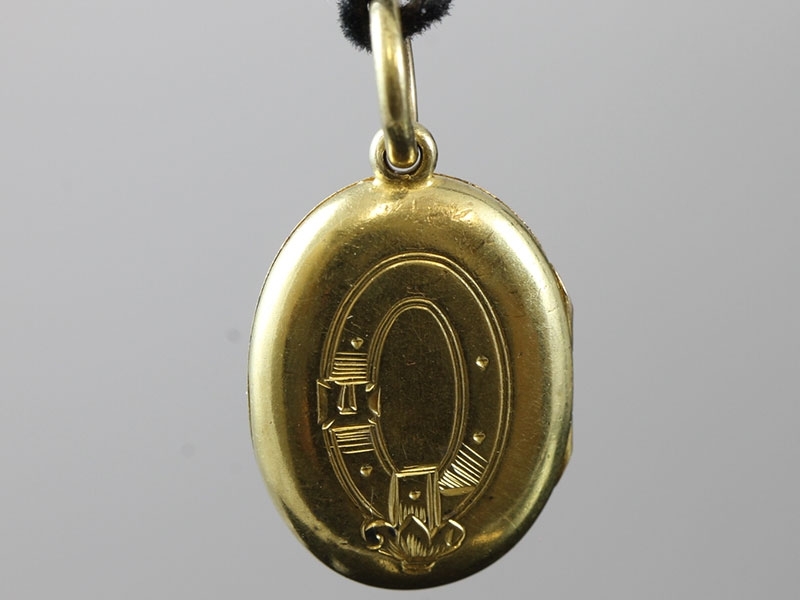 This locket is simply delightful and perfectly proportioned and well balanced, Dates 1886, mid-Victorian. 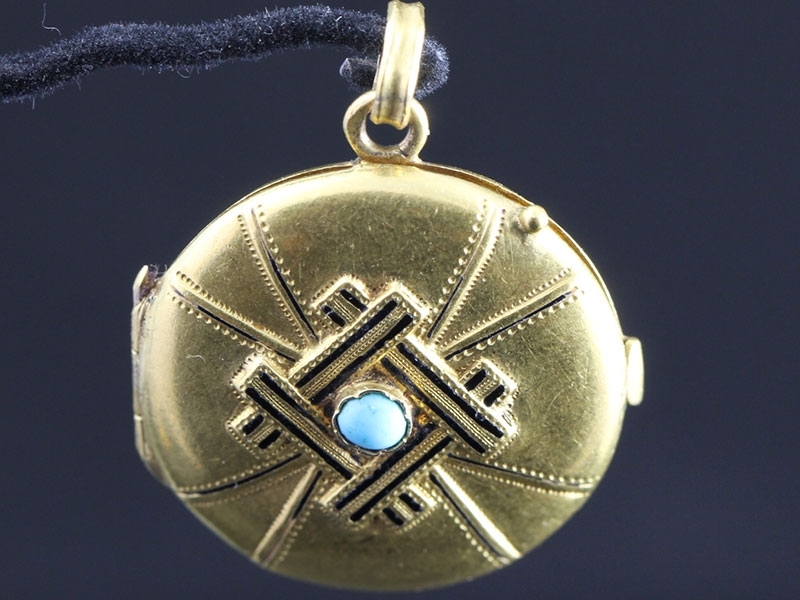 A very rare item of antique jewellery made from solid 15 carat yellow Gold casing. 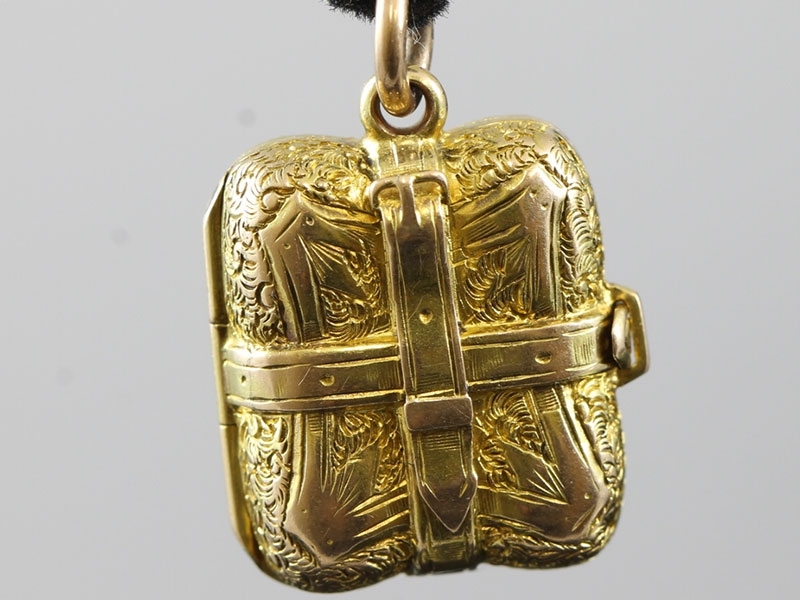 Here we have a stunning unique very special unusual early Edwardian case locket. 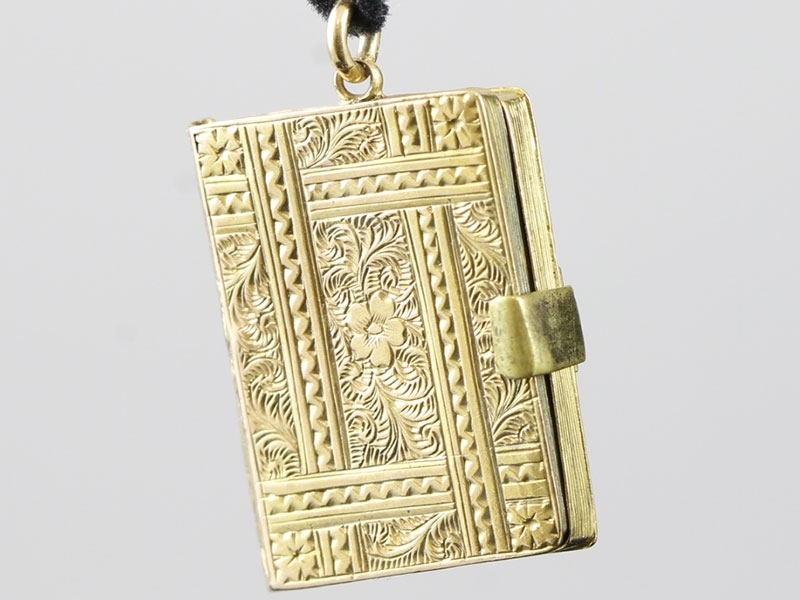 A charming book locket masterfully engraved on both sides, you won't be able to put it down! 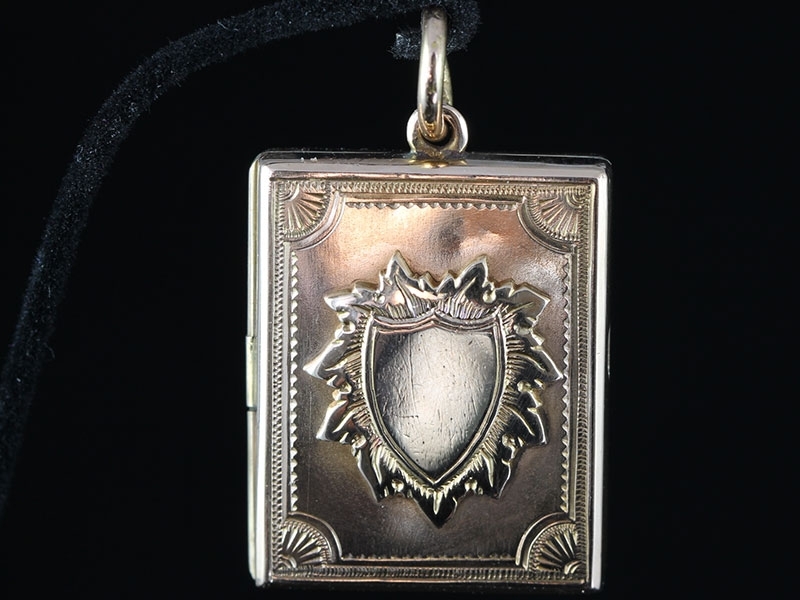 The locket will open to hold a treasured memory, providing the perfect keepsake gift, Circa 1900. 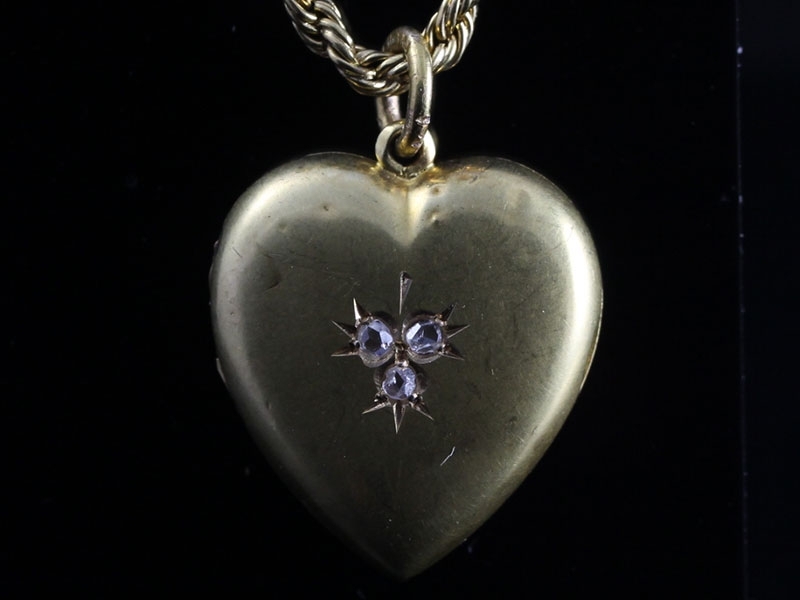 This is a stunning Edwardian Gold heart locket with lovely hand engraved Forget-me-not Flowers and Ivy Leaves. 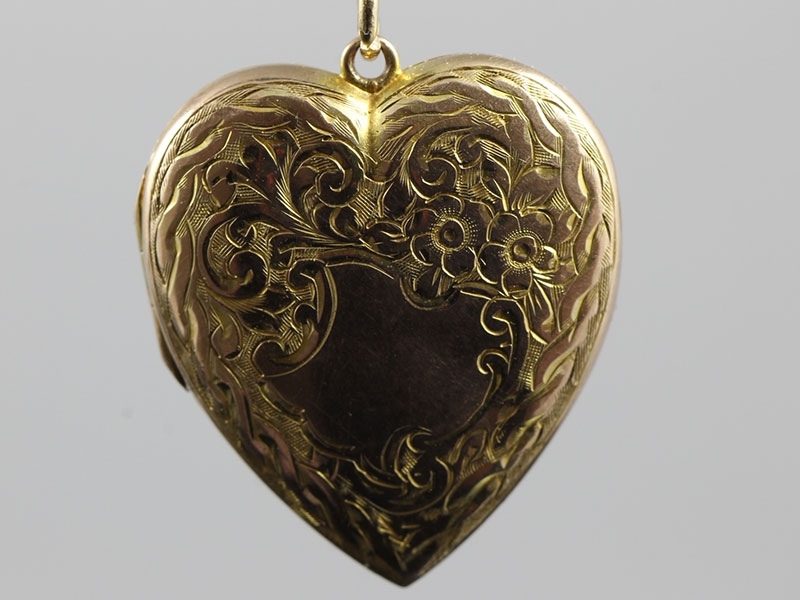 This is an absolutely beautiful Edwardian antique heart locket made Circa 1900, handcrafted in 18 carat Gold.